Charity Partnerships: 3B Training is a founding patron of the Bolton Lads and Girls Club’s Westhoughton Youth Project, currently raising money to open a youth centre in Westhoughton. As of November 2015, the youth project will open its doors and allow the children who attend the centre to design a new logo for the charity partnerships. 3B Training Director Mathew Bewley is aiming to raise £2,000 for the cause by taking part in various charity events such as Tough Mudder and has also persuaded the sales team to take part in Movember later in the year. As a company, 3B Training regularly participates in fundraising events for charity, and every September we hold a coffee morning in order to raise money for Macmillan cancer research and invite our course attendees to join. In the past, we have also taken part in charity fayres, fancy dress days and sports challenges. For the coffee morning, the 3B team baked cakes and brought in a range of treats. All in order to raise money for Macmillan. 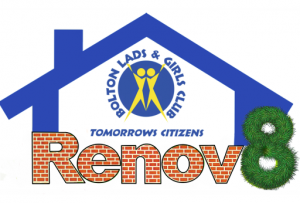 3B Training has also recently teamed up with the Bolton Lads and Girls Club to work on the Renov8 project. This was set up to help young people who are not in employment, education or training gain first-hand experience of working on a live construction project, with the main aim being to give the selected group the relevant skills and knowledge required to work within the construction industry. This involved a project team of over 100 unemployed youngsters transforming an old and outdated four bedroom terrace. They transformed it into a high specification, newly renovated property which could be sold. 3B Training provided training and a working on-site seminar, as well as an accredited first aid course for some of the project team. 3B Training has also chosen the Partnership for Learning Charity building as our Liverpool venue. 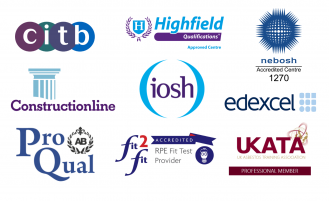 The venue provides us with excellent facilities to provide training in the Merseyside area. It is easy to do this with a quality training room and conference centre. 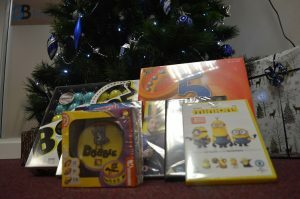 As well as this, 3B also support the charity in its aims to help the local community. We do this by paying a 12-month lease to them with all of the money going to the charity. 3B have recently donated £80 worth of toys to local charity, Derian House Children’s Hospice. After such a successful year, 3B felt it was important to give back to such a worthwhile charity. To help to raise money for the cause; 3B training offers the Parent & Child First Aid course which is helped to educate both adults and children on how to deal with a first aid emergency. All money raised goes directly to the Millies Trust Charity.